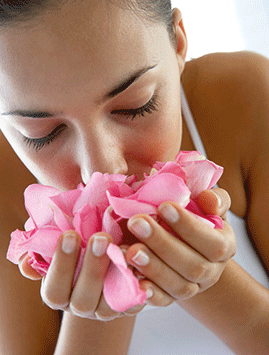 Aromatherapy has been used for thousands of years to support many aspects of health and wellbeing. It utilises essential oils, which are concentrated, aromatic plant extracts, for therapeutic purposes, and has many benefits from soothing stress and insomnia to easing muscular aches and pains. “Essential oils are composed of hundreds of active constituents, which each possess therapeutic properties that affect the mind, body and emotions in various ways,” explains Gemma Clare, a global holistic health specialist and clinical aromatherapist (www.gemmaclare.com). Here are some examples of the most popular essential oils and how they can benefit our health and wellbeing. “Peppermint is a stimulating essential oil,” says Gemma. “It is widely used in the food and pharmaceutical industry, as it is one of the few essential oils that can be taken internally. It is renowned for its ability to treat digestive problems, including irritable bowel syndrome (IBS), indigestion and nausea. It also eases travel sickness. Peppermint can aid in respiratory problems as it decreases muscle spasms. If you suffer with asthma, congestion, catarrh, bronchitis, sinusitis or colds then a steam inhalation with peppermint oil is a great choice. “Lavender has been used for thousands of years and, today, it is without doubt the most versatile and widely used essential oil,” says Joannah Metcalfe, consultant aromatherapist with www.baseformula.com. “Sandalwood essential oil is produced in India and is also grown in New Caledonia,” explains Sarah Watson of Natural by Nature Oils (www.naturalbynature.co.uk). “Bergamot essential oil from Italy has been popular since the 18th century when it was used in the original formula for ‘eau de cologne’ and it is still used in fragrance creations,” says Jennie Harding, essential oil expert and training manager at Tisserand Aromatherapy (www.tisserand.com). 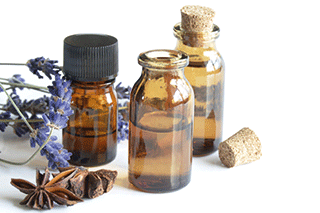 Extra precautions should be taken when using essential oils during pregnancy.